MF Portables is happy to announce a partnership with Johnny’s Choice. 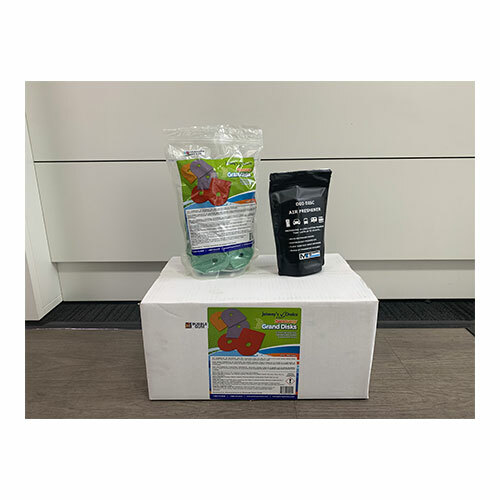 The Johnny’s Choice brand of products has gained world-wide respect and is specifically developed for the portable sanitation industry, to deliver effective odour control. Their Sensory Grand deodorizer discs are the biggest available which means they last a lot longer than any other disc. The Toss-In sachets are easy to use and have a strong smelling fragrance that keeps on working. We at MF Portables are looking forward to a long lasting relationship with Johnny’s Choice and to continue expanding our range of products to accommodate the Australian market. Sensory Grand Disc is a unique thick, large oil based, air freshener disc for an extra long-lasting fragrance boost (lasts up to 30 days). The Grand Disc's large size is unique in the industry for added effectiveness. Available in a variety of appealing fragrances. Not only suitable for Portable toilets, you can place them just about anywhere. 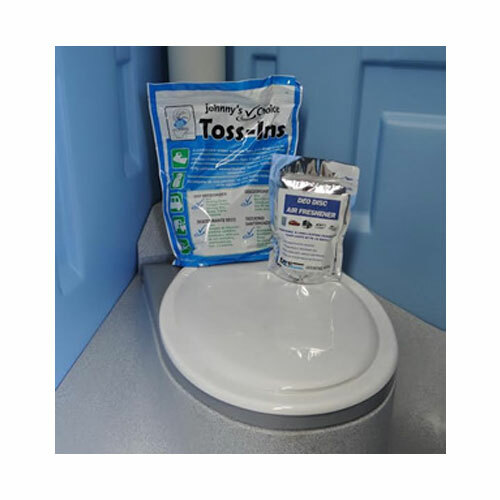 Toss-In Chemical is a pre-measured packet of concentrated deodorizer powder in a water soluble pouch. They dissolve quickly and completely to provide effective all-season odour control. 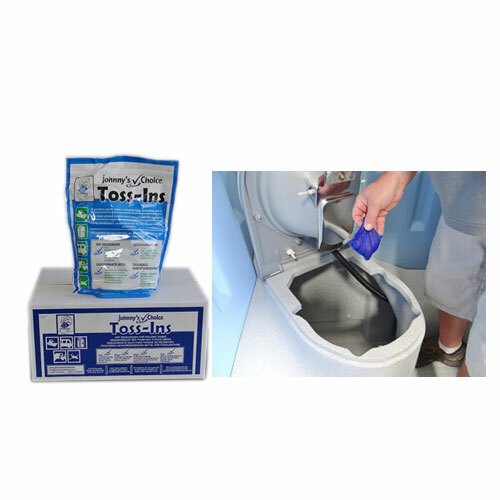 Toss-Ins have a non-staining, deep royal blue colour to hide waste and a strong deodorising fragrance. Packaged in re-sealable, water resistant bags. 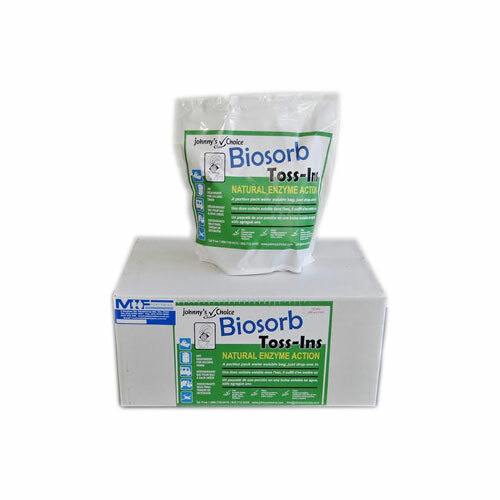 Biosorb Toss-Ins are dry deodorizer in water soluble portion packs that use bacteria and enzymes for odor control. Biosorb Toss-Ins are biodegradable and the deep blue color is completely non-staining and with a strong deodorising fragrance. The 12 Month Chemical Pack designed for Single Toilet Users. Pack includes Bag of Toss-In toilet chemical (50 sachets) & 12 Sensory Grand Deodoriser discs. Hand Cleaning Dispensers are ideal for use with portable toilets and handwash units and is easy to install. 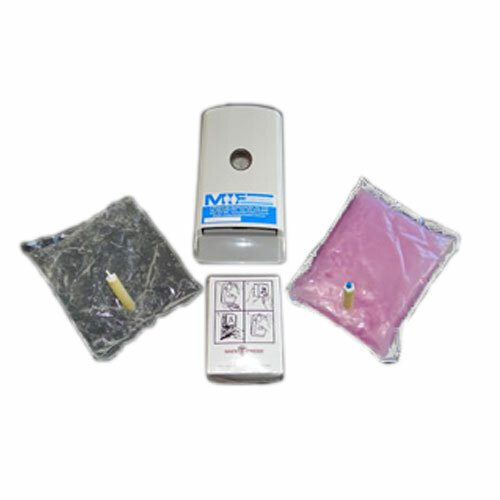 Available for use with non-alcohol based soap as well as alcohol based sanitizer designed for waterless wash. Meets health & safety requirements.